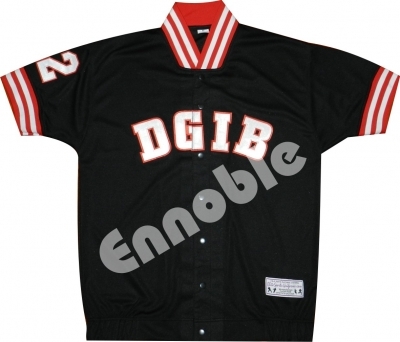 Varsity Jackets | Ennoble International Pvt. Ltd. 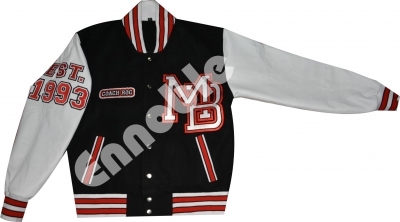 Variety of combinations and styles available in varsity jackets. 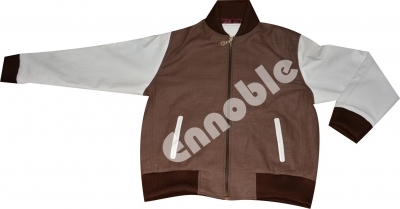 Varsity Jackets with Wool Body and Genuine Cowhide Leather Sleeves, Wool Body and Wool Sleeves, Satin Body and Satin Sleeves, Nylon Body and Nylon Sleeves, Leather Body and Leather Sleeves, Cotton Body and Cotton Sleeves, Wool Body and Synthetic Leather Sleeves and Hooded varsity jackets are made according to the customers requirements.